(Gananoque, ON) Imagine if it were your family. One of the members has vanished, and you have no way to reach out, no way to find her. All you want to do is get her back. 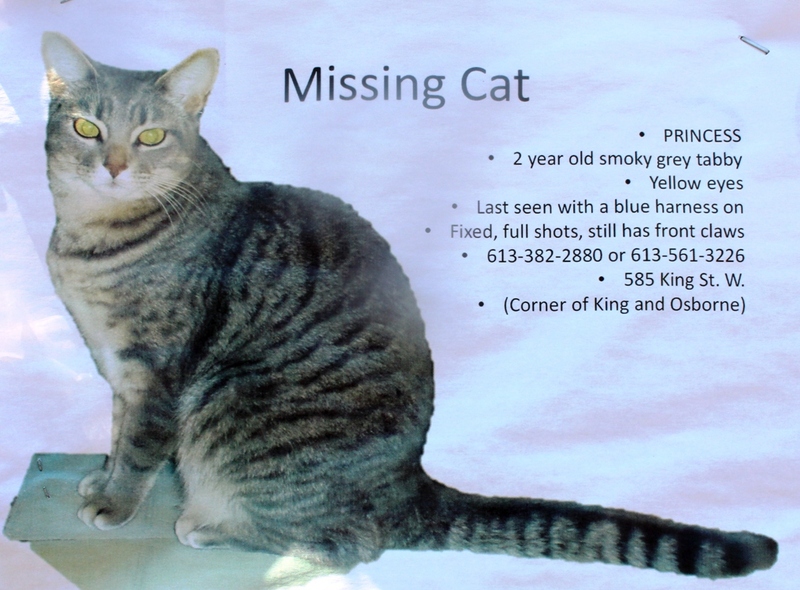 Princess has been missing for more than a week, and her family wants news of her. Any news. Please, if you have seen her or know her whereabouts, contact them and let them know. Not only will you be making some people happy, but Princess will undoubtedly be delighted to get home. This entry was posted in Animals, Announcements, Humane Society and tagged missing cat, Princess by llpayette. Bookmark the permalink.